"It is necessary to restore law and order in our country"
October 19th officially marks the beginning of Ukraine’s presidential race. Former Prime Minister and leader of the Party of Regions Viktor Yanukovych, is one candidate. In 2004 Yanukovych was declared winner in a highly-charged presidential election. But following allegations of electoral fraud and peaceful protesting, dubbed the “Orange Revolution,” the opposition candidate Viktor Yushchenko took power. With three months until the election Yanukovych spoke to euronews about his election campaign and political program. euronews: Viktor Yanukovych, according to the latest polls, you and Prime Minister Ioulia Timoshenko will come head to head in the second round of the presidential elections. What key points of your campaign are popular with voters? Yanukovych: Of course, first of all I will have to carry out my program of structural reform which I had already prepared in 2007. Now, I intend to carry out this program, modernized and adapted to the current crisis, in a completely coherent and responsible way. Special attention will be paid to the energy sector, which needs technologies to save energy. The social protection system will also find a suitable place in my program. The tax structure must also be modernized or even liberalized. Ukraine has not yet carried out a tax reform euronews: In the last few years it seems Ukrainian politicians have been at war. If you win the election, how would you obtain social and political stability? Yanukovych : First of all it is necessary to restore law and order in our country. Five years of an arbitrary system in Ukraine has practically destroyed the political machine today. It is necessary to begin restoring order by reforming the legal system, to fight against corruption: The services responsible for law and order must defend the rights and freedom of the citizens. The attitude of current powers is unacceptable, since this power – with its domestic and foreign policy – has almost never respected the point of view of the Ukrainian citizen. 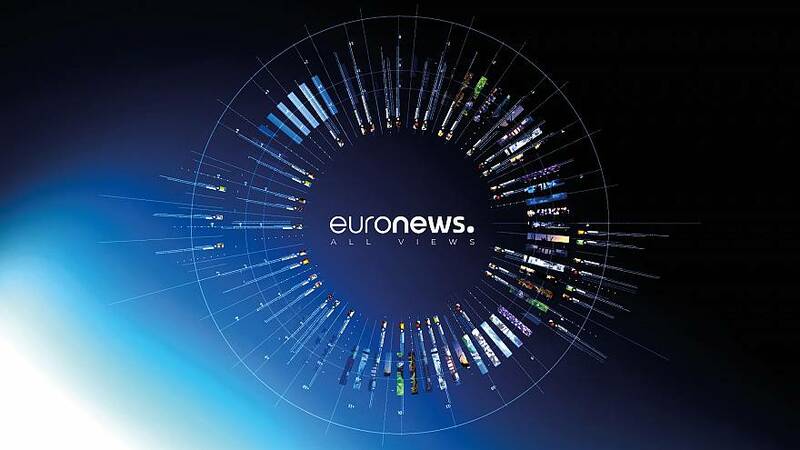 This is why today the level of confidence is at its lowest: that of the President does not exceed 15%, that of the Prime Minister 20% euronews: If you are elected what would be Ukraine’s foreign policy? Yanukovych: The foreign politicly of Ukraine will be balanced. Ukraine is ready to actively take part today, to take a position determined in the development of the European System of defence and collective security. Ukraine will find its place in all of these issues as a neutral State. And today, while collaborating and following a policy finely balanced with NATO, Ukraine will not stand in the way. On the contrary it will be in a position to support such a collective defence system which the European Union, NATO, and Russia will take part in euronews: You recently declared that relations between Ukraine and Russia in the gas sector must be built “according to the rules of the market”, on equal terms. Yanukovych: The relationship where gas is concerned has always been the object of intense negotiations between Ukraine and Russia. The contractual basis was created by many governments of the two countries, and by many Presidents of both sides. It has been, in reality, destroyed over the last five years. If I was asked how I would review these relations, I would say that we must raise not only this issue, but try to answer the problematic and thorny questions we have inherited over five years of Russian-Ukrainian relations. In considering all these questions, I am persuaded, that we will find mutually acceptable solutions in all areas, including gas. euronews: One of the IMF’s conditions for granting Ukraine credit was the raising of gas prices. But as you know, the government’s attempt to do this came up against strong resistance by the trade unions who blocked the initiative. Is it possible to reform the Ukrainian economy today? Yanukovych: The current authority has a ‘one by one’ approach to solve these problems. This goes against the principles of an effective economic system. Today, more than ever, we need a systemic approach, pragmatic and professional, we require all the branches to join forces, work together. Ukraine is losing out today because in the current political situation (where there is no unity) it cannot act effectively in the economic domain. We see the desperate acts on behalf of the current authorities: the President “pulls” in one direction while the Prime-Minister pulls in another. There is no effective and stable majority in the Parliament that could support the decisions of the executive authority. In my opinion this crisis will end after the presidential elections.